Crystal Ivy London, who is British born was always fascinated with fashion. Growing up watching her grandmother sew and father paint she started at the age of 4 and 5 years old sketching stick figures and little outfits. 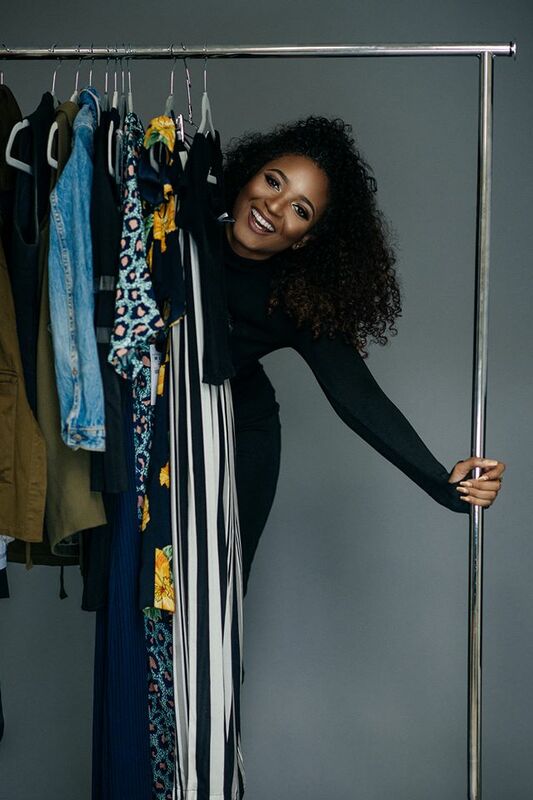 Today she is in high demand and is already an established and internationally published Fashion/Wardrobe Stylist and Fashion Co-ordinator, who has worked with some of the most prominent designers and Magazines in the US, UK and the Caribbean. She has styled and worked for Galia Lahav, Tracy Reece, Zimmermann, Claudia Pegus, SHE Caribbean Magazine, Filtered Fashion Magazine, World Bride Magazine, Upscale Magazine and Hello Modlin Magazine to name a few. She is a participant for several “Fashion Weeks” around the world and the Caribbean such as New York Fashion Week (NYFW), Bridal Fashion Week (NYC), Men's Fashion Week (NYC), Caribbean Fashion Week (Jamaica), Islands of the World Fashion Week (Bahamas) and so on. She has also been interviewed in Woman’s Weekly and BET’s Caribbean show “SPLASH”. Her inspirations come from classic films, reading magazines and books. She loves to travel to experience different cultures and of course drawing is one of her biggest passions. Is your wardrobe more exhausted than Carey Mulligan at the end of Gatsby press tour and your closet is in serious need of a makeover/update? We will do a step by step service from cleaning out to organizing to finding new pieces or helping you revamp what you already have. When it comes to transformations Crystal does it in a very short period of time unlike other self-help industries (exercise, diet, etc.) that takes time for the transformation. Through her 1-on-1 styling package Crystal will successfully transform you so you can start feeling good about yourself NOW! Get ready to become the most powerful (and stylish) version of yourself. Darcel de Vlugt is a Caribbean-based designer who was born in Trinidad & Tobago but raised around the world in the Middle East and Cyprus. She spent six years in London after graduating from high school with five A levels, as well as a teaching qualification in modern dance, where she acquired her Bachelor's degree in Fashion Technology for Womenswear at the London College of Fashion. In 2007, she used her internship semester as an opportunity to get back in touch with her Caribbean roots by working alongside top designer Meiling Esau for six months. In 2008, following graduation from the University of the Arts, London, she made her runway debut at the Islands of the World Fashion Week in Nassau, the Bahamas, where she placed as a top three finalist in every category (Next Generation Designer, Eco-Sustainable, Cultural). She returned to the Bahamas the following year to win the Next Generation Designer Award 2009 with her Mad Hatter's Tea Party collection. Following her return to Trinidad & Tobago in 2010, Darcel de Vlugt became the Editor of then premier Caribbean fashion resource CFstyle.com, as well as concurrently being the sub-Editor for UK-based women's magazine ComplexdWoman. During that time, she exercised not only her writing skills, but also creatively directed a number of photo shoots and productions in collaboration with other Caribbean designers. Following her return to Trinidad & Tobago in 2010, Darcel de Vlugt became the Editor of then premier Caribbean fashion resource CFstyle.com, as well as concurrently being the sub-Editor for UK-based women's magazine ComplexdWoman. During that time, she exercised not only her writing skills, but also creatively directed a number of photo shoots and productions in collaboration with other Caribbean designers. She became a mother in 2011 and returned to the world of design in May 2012 with a small collection on the runway of the re-designed Islands of the World Fashion Showcase in the Bahamas as a veteran designer. Having teased the public with hints of bridal and red carpet allure throughout her work, in February 2013 after being one of only three designers chosen to showcase their work in London at the International Fashion Showcase during London Fashion Week, she made the decision to pursue a fashion career in bridal and special occasion wear during her time in Trinidad. She has now been doing bridal wear and accessories for three years, and has quickly become one of the "go-to" designers for all things bridal. In addition to her design work, Darcel de Vlugt has appeared on numerous TV shows throughout the UK and US, as well as in Japan and the Caribbean, speaking about her life experiences living with the skin condition Vitiligo. She hosted the first ever Walk For Skin in Trinidad around the Queen's Park Savannah when she returned in 2010 and has done public speaking and mentoring for children, teens and young adults to raise awareness for skin disease, including a TEDxYouth talk in January 2012. In the motherhood phase, her skin has started repigmenting and she has begun speaking about the journey and process through her social media platforms as well as through interviews. Alongside designing full-time, Darcel continues to write and edit as a freelancer, and will be returning to teaching dance in September 2017 at a bilingual preschool in Trinidad's capital, Port-of-Spain, where she will be introducing music, rhythm and dance from around the world to young children to "lay the foundations" for dance and music knowledge. 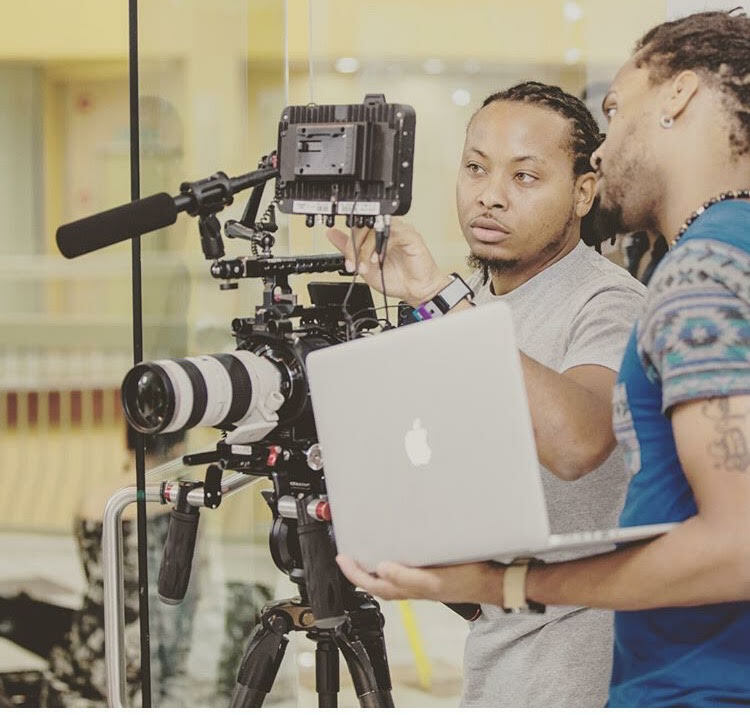 With over 16 years of experience behind the camera, Romano Francois from the islands of Trinidad and Tobago is a dedicated creative always ready and willing to work with anyone and assist them to make their production dreams a reality. 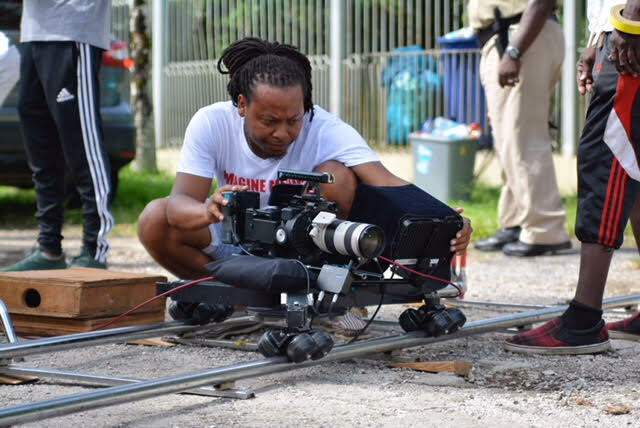 Having worked both on various company and creative projects such as music videos, events and tv shows, Romano, with a passion also being a director, plans to continue raising the media bar in the islands with the hopes of his projects taking centre stage internationally in the near future. Who inspired me the most would have to be my aunt who passed away because if she didn’t get me involve in television production with visual arts production limited I would not be where I am today. In 5 years I don’t see myself I see the team I work with all of us reaching your goals which would be to be filming tv series international and globally and hopefully someday winning an award along the way. If your getting into this field of Work do it for the passion and not for the money because money fades away but have a passion for something and it lasts a life time. Israel Silva is an artist, writer and animator from Trinidad and Tobago. Israel has been doing art since he was 4 years old and since then has created an amazing portfolio of work and shows his fans how it's done via his YouTube channel. He is also a part of Liquid Matter Studios the team behind the creation of an animated movie titled "Jumbie Hill" coming out of Trinidad and Tobago in the near future. I think its more of a talent than anything else? I mean I always wanted to draw I started ever since I could pick up a pencil lol but I guess to really pursue it was the cartoons and anime I used to watch when I was a kid. watching these characters come to life really inspired me to create my own and I fell in love with these characters! I think God is my answer to that. I think he is the ONE main constant in my life. My family as well but God works through my family so...God still lol. He helps me through every obstacle I ever faced and I am nothing without Him. Never give up. Practice like CRAAZZZYYY because if you want to make a dent in the art community you have a LOT of competition...and also remain humble. ALWAYS be open to critique and advice. Artist help other artist grow! and they inspire a LOT! Kalpee has 5 Million reasons to celebrate having just reached over 5M views on his first release "No One". Over the last few months, Kalpee has taken the World by surprise with his music being played in places that are not common for an artist coming out of Trinidad and Tobago doing something other than Soca, or Calypso. 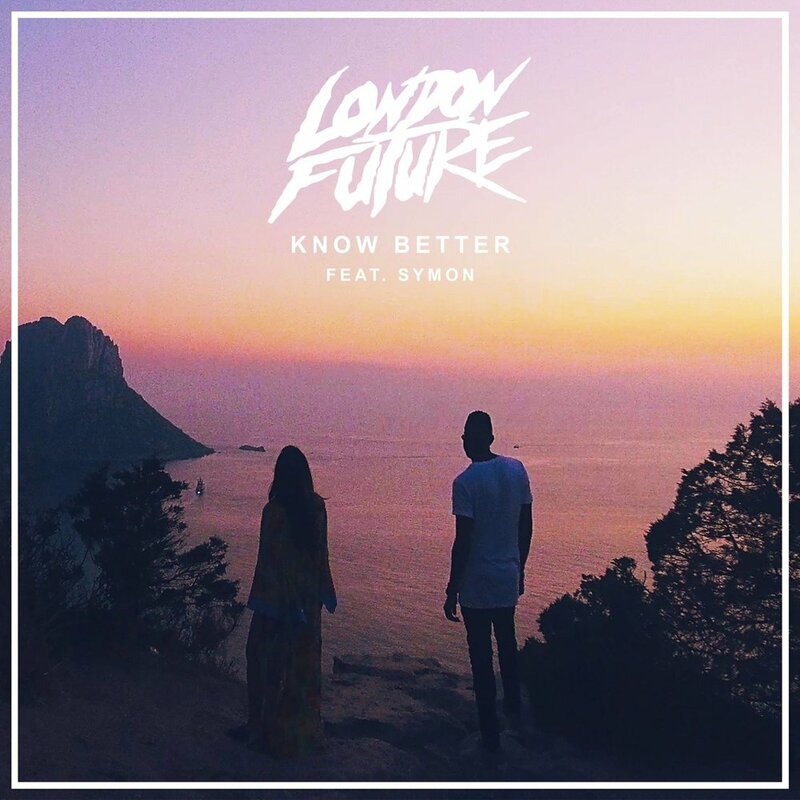 His songs have touched people all over the World and are being played in over 58 Fliter playlist reaching over 1.7M people on Spotify and Apple Music. Hitting to the top in various radio countdowns, charts and being heard via streaming platforms and radio stations in places such as Egypt, Taiwan, South Africa, Hong Kong, Singapour, Austrailia, Germany, Brussels, U.A.E, and Brazil just to name a few. Which brings to the point of Trinidad and Tobago radio, support for its own and in a recent interview with U.A.E. 's National Newspaper Kalpee says “The song has been well-received in the States and Europe, but there has not been much enthusiasm from Trinidadians, which is annoying,” Kalpee says with a sigh. “But I understand it. A lot of it is generational, man. “We have one generation listening only to the radio, which only plays traditional soca and calypso – which are our national music – and the younger generation who listen to music online. “The older generation want us to sing songs in that traditional way, while the young people are excited with where the music can go. I think this excitement will inspire more young artists to come from Trinidad.” he continued. His recent release "What About Us" is no different, already over 400K streams on Spotify, over 80K views on VEVO and proves that he has more to offer. 2018, fans will get a chance to see this up and coming singer perform live in various cities around the World with a tour being planned for Australia, Asia, Europe, Middle East and Africa. Kalpee is carded to perform at Fashion Week Geneve in Switzerland on the 25th of November which will be his first performance in Europe. Trinidadian native singer/songwriter, Kalpee, has just dropped his second single, “What About Us” with Sony Music Entertainment Middle East. “What About Us” is a continuation of Kalpee’s unique Soca-infused pop sounds; the HIT will have fans swooning over his smooth, soulful vocals and The Chainsmokers, August Alsina and Zayn style vibes. Filmed around England, Portugal and Amsterdam, the Super-8-shot video for “What About Us” highlights a long-distance relationship between a group of friends who road trip together to reunite and reconnect. Kalpee captured the trip using a vintage Super 8 camera, giving it a unique nostalgic feel, like a lucid memory of happy times together that you can never forget. WATCH NOW! Kalpee burst onto the music scene with his first single, “No One” which flew across streaming platforms and radio stations in Germany, Brazil, New Zealand, Australia, Brussels, Norway, Singapore, Taiwan and more. “No One” is currently at 4 million views and clocking over 100K streams a day on Spotify Worldwide. Keep an eye on Kalpee this year, more incredible music to come! When describing newcomer Kalpee's sound, some may call it Tropical House and some may refer to it as Soca House with influences from cadence, funk and soul. One thing remains though, his aching voice soars over a sure to be international chart hit, taking you to a place of love and loss. Kalpee gained his early music experience representing his primary and secondary school at national music festivals where he excelled as a soloist in Classical pieces. He developed his talent with leading roles in his school’s annual productions and kicked off his career as one of the founding members of one of Trinidad’s multi-talented young band, “The Entourage”. Kalpee is a fluid artist capable of penetrating various genres from RnB, funk, reggae and Soca wooing fans with his broad vocal range. You can get a feel of the Trinidadian star’s sound through his impeccable remakes of Wiz Khalifa ft. Charlie Puth’s “See You Again”, Maroon 5’s “Sugar”, Drake’s biggest hit “Hotling Bling”, Sam Smith’s emotional ballad “Lay Me Down” and many more! Kalpee is definitely an artist you should watch out for, there will be plenty of amazing material coming through. We see Kalpee and his lady falling in love, falling out and then trying to keep it together, but things get out of control. There is an element of craziness and spontaneity which adds authenticity, passion and intensity to the music video. Kalpee gained his early music experience representing his primary and secondary school at national music festivals where he excelled as a soloist in classical pieces. His talent grew over the years and he began his career as one of the founding members of one of "The Entourage". For all those who are new to the Rich Life, let me familiarize you with the one and only! His debut year was a meteoric rise to the international soca spotlight. One of the hit songs of the Carnival 2012 season, K. Rich's "Nothing Less", was regularly heard on every regional radio station! Carnival 2013 started after K.Rich released another massive hit, "Wine Back", out of the Precision Production camp. Not wanting to confine his talent to one genre, K. Rich also followed up his first dance/pop track Slow Mo from 2010 with the release of Out of Body Experience in mid-2013. In 2014, he did the unthinkable.... He released yet another smash hit! "Go Down"! It became evident to all in the regional music fraternity that Kenneth "K.Rich" Richards was here to stay and he quickly became a household name with his combination of infectious music and his energetic and memorable live performances! "Who is this unstoppable force?" and "where did he come from?" many asked. American-born but Trinidadian bred, he and his family migrated from Miami to St. James when he was 11. His initiation to music composition and studio production came by observing the success of his legendary stepfather, Austin 'Superblue' Lyons. In his teens he joined rock band, 5 Miles to Midnight, as its frontline singer. Through his creative direction, the band introduced to the world a hybrid fusion of rock and soca! Kenneth wasn't aware of it yet... But he was laying the foundation for his future as one of the fastest rising stars in Trinidad and Tobago! Discover Kriston Koon Koon from Trinidad and Tobago, Photographer, Comedian, Actor, Director, Film maker, and Journalist. Well ever since I was young I knew I was a creator but creating was more that just that for me, it was a way to deal with life, a way to make it seem better, because it can get pretty tough at times. My drive is youths, there is a youth out there with a dream and no platform like I was, I want to be there to help, there I a youth with no hope, I want to bring hope to them, there is a youth out there that thinks he/ she is alone, I am here with them! Also my relationship with My Lord guides me every day to never give up. Well, that changes now and then for me but on a general note, a young person with drive will always motivate me. Right now some of my motivations are: Jimmy October, Jeff weight, Jonathan Hinds, Areesa Sturgeon, Varma Geelalsingh and many others. Well, to be honest, it gets very hard at times because in Trinidad you have to create your own platform as a Youth, the old folks (the Leaders in the industry) wants to keep themselves on top so we as youths have to work around that. There are times I want to give up but then I remind myself of that youth that is home, who I can impact and spark some inspiration in. In 5 years I see myself travelling the world constantly, impacting lives everywhere I go. I see myself having an international clothing store, I see myself being the leader of lifestyle photography in the world. I see the youth taking over in 5 years. Never give up! You have a dream, go get it. You have an idea, do like Nike and just do it! You will learn more as you go along don't feel like you are not good enough, we all were at that point. What motivated me to pursue my passion? Motivation comes from within, I am motivated every time I see the results of a project and the impact it has on others or the industry. It makes me want to better it and pioneer something else that can blow away what I had done previously. So I would say I am motivated by the quest to change the status quo. I go into myself, find myself, the inner strength that I know I have and literally pull it out. As a Catholic I also spend a lot of time with the Blessed Sacrament. Advice - I would say stay true to yourself, choose wisely with whom you associate and commit yourself to excellence. We take a look back at some of the advice given by fellow Thrivers from around the World. I know that a lot of people are ready to 'Walk Away' from this year and start fresh in 2017. This video is a representation of those feelings. I shot it last year and was planning on releasing it earlier this year, but there never seemed to be a good time. I started my year performing my song 'I Am a Girl' at the United Nations headquarters in New York, speaking about the importance of Gender Equality, and inspiring women and girls around the world to believe that they can be anything that they want to be in life. Later in the year, I became a UN Women Planet 5050 Youth Champion, and I have been continuing to advocate for a Gender-Equal world. I spent a brief amount of time with Hillary Clinton when she was running for President and saw firsthand how far we have come as women, and then, in November, learned how far we still have to go. I was blessed to perform and speak all around the world this year and met some really incredible people along the way. I feel like I live out of a suitcase more and more with each year that passes, and I can't really complain because I am so thankful that I am doing what I love, and what I genuinely believe to be my purpose in life. I traveled to Tanzania again this year with my organization, E.P.I.C., and we drilled another clean water well. We are running 4 more trips in 2017, so if you're interested in coming, click here. The trips are almost full already, and the year hasn't even started yet! Those of you who know me best know that this year was filled with some difficult times as well, but I released this video as a reminder to anyone who needs to 'Walk Away' from anything that is holding you back from reaching your fullest potential. I believe that 2017 is going to be a phenomenal year, and I am looking forward to seeing more of you all in the year to come. Thank you for contributing to my 2016 with your words of encouragement and love. Sending you inspiration and light for a happy and fulfilling year ahead. Trinidadian Shallun creates something special for this Christmas season. "November 2015, I started to write this song with the intention of it being a "5 Miles" Christmas track but what I wrote was a cheeky ode to my girlfriend. With help from Sheriff (producer of Differentology) I recorded it and planned a surprise proposal using the song as the backdrop. I staged a music video as part of the plan and it was a success. I shared it with some friends on facebook and it was circulated, to which "LoopTT" contacted me to be featured. So owing to the general response and my fiancee's support I decided to release the song officially this year." Shallun mentioned in a recent release. High school was where I fell hard for the guitar and nothing has made such an impact on my life since… except, my fiancee. I am definitely inspired the most by my Mother! It might seem like a cliche but as a single parent, she has done soooo very much to make me the person I am today…. Also, some credit goes to The Beatles. Well, there is no industry for my style of music which is Acoustic Pop in Trinidad and Tobago so from "jump street” I’m at a disadvantage. However, the internet has levelled the playing field when it comes to connecting and sharing with people from every place imaginable. So that helps with combating many of the challenges. In five years I will be a producer and songwriter, working with the very same bands and performers that I've been obsessed with since I was a child. Also, I'll be with my wife and kids, mostly working from home in my villa in Italy, just kidding... not really. This is not the easiest of career paths so start reaching out and making genuine connections with potential fans from day one!! As I implied the internet is your friend and definitely learn to differentiate between constructive criticism and just plain hate. Check the song out below, and I'm sure you would love it as much as I do. The True Love of Music and making music made me start emotionally processing melodies and moods that came from the radio and my parent's record collection when I was very young as early as 3. I eventually learned to play the guitar, drums, and piano, then writing my own songs then trying to Sing them. So its the Love of Music that started me up and keeps me going . I am most inspired by my children, but musically I'm inspired by Quite a few Artists, past and present, too many to mention. I think I handle it well because of my children, they energise me and keep me focused on Life itself . I live an ironic existence of having exceeded expectations creatively yet failed miserably at monetizing my work so the success is 100% Rock Solid in terms of what my fans get from my music and my live performances but the failure aspect has been about trying in vain to go beyond these shores to share the music with the World "in a Substantial way " Still trying, never giving up . In 5 years I would like to still be alive, as a Father, and a Musician, doing the do and staying ambitious regardless. If you get into this for the wrong reasons you will be chewed up and spat out very quickly by the machine. Do what you Love, Love what you do, and be TRUE to yourself. There is no meter in existence that could measure Success, there is no Time limit to becoming successful and make everyday count . I always wanted to make music and send a message out to people, music is one of the only things that the whole World can relate to. Sometimes you can't always speak out, but give people a feeling. Which can be stronger than words. I try to gain as many experiences as I can, meeting new people and hearing their stories, not being afraid of trying new things. That inspires me most. Great artists with a deep story are always the ones to listen out for. It's important to keep moving and stay positive. Surround yourself with great people who motivate you. Always stay focused. Try not to become overwhelmed. I want to have at least 2-3 albums out. I have some ideas to work on some bigger business ventures, Artist Management, and a Label are in the pipe line. Never give till the world hears you. Take on constructive criticism. Don't let everything go to your head. Help others and learn from every experience. Most important.. Stay humble and work hard. It was a combination of things. I always think back to one of Majeed’s lines (he’s rapper based between Dubai and Saudi Arabia). In one of his songs he say “I fell in love with the props from the lines I drop”. So yes, it was the people around me giving me showing love and support and in addition to realizing that there was a market for my passion. So I set out to make my passion a source of income for me. Arming yourself with as much information as possible, whether is about the job you're going to do or even about the client you’re going to meet. I see myself having a hand in various businesses. Photography is one but there are various other areas I’m interested in. I don’t see myself being “full time” doing only one thing. To run a successful business, first take an accounting course. If you’re business is art, then learn the science behind it. The art is most powerful when you can consciously bend the rules of science.